Plumbing Services Tri Cities Looking for a plumber in Pasco WA? We do plumbing services throughout the Tri Cities WA area including Pasco, Kennewick, Richland, West Richland. We can handle all your plumbing needs, including all types of hot water heaters: tank-less hot water heater, electric hot water, gas water heater, etc. We do plumbing repair, replacement and installation. If your looking for a "plumber near me", you have come to the right place. 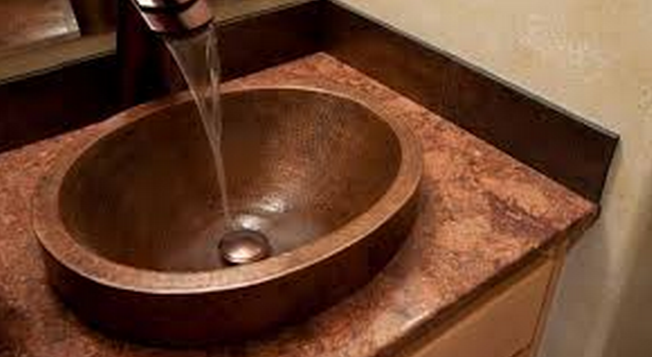 Our Plumbing services include specialties, products, tools and supplies. Our goal is to solve all your plumbing needs. We repair faucets, sinks, clean plugged sink drains, ice makers, garbage disposals, disposals, repair drains, drain cleaning, drain replacement, Insta-Hots, plus . . .
Clogged toilets? We will unplug the toilet, sinks, plugged sinks, bathtubs, plugged bathtub drains, shower heads, faucets, toilets, drain repair, clean drains, drain replacement, water pipes, leaking faucets, leaking sinks, leaking pipes, plus . . .
We replace and repair water softeners, hot water heaters, tank-less water heaters, laundry sinks and faucets, washing machines, plus . . .
Sump pumps, water line repairs and replacement, hose bibs, sewer line repairs and replacements, cleanouts, backflow assemblies, drain repairs, maintenance plus . . .
OH NO!! The Toilet isn’t working – Do not despair a licensed plumber will show up and the truck will be stocked with plumbing parts so your problem can be solved and fixed upon arrival, saving you our valued customer time. Hot Water doesn’t work – Over 60% of the time you do not need to replace the hot water heater. Often it can be fixed. However if you do need a new hot water heater, we can usually get it replaced.quickly. Water Leaks – No worries, broken pipes, leaking pipes, leaking faucets, utilizing a detector we can find the spot and can usually fix it on the day of your appointment! Clogged Drain – NOT AGAIN! We can get it unclogged and then if necessary, could give you a quote of what it would cost to fix the problem long term, which over time will save you money. Do you know, is copper best for you? What are some of the problems which could arise? How about electrical grounding issues? Our licensed plumbers are specialists in determining what would work best in every situation, and they will give you the options that are the safest and best for long lasting results. Your home's main sewer drain carries all household sewage to either municipal sewer line or to an on-site septic system. Older drains can become invaded by tree roots, causing blockage that can lead to sewage backing up into the house. Replacing a drain can be expensive, however, newer techniques can reduce the amount of digging required. Our assistance includes a variety of sewer repair services. Call us today so we can determine what your needs are. If you have old plumbing fixtures, it doesn’t mean you need to throw them away. We will show you options for repair if the fixture is worth repairing, some older fixtures are well-built and worth repairing. Some new ones just aren’t made as well as the old ones were, and we will do our best to advise you of your options. However when it is necessary, or you prefer to replace fixtures, we have the ability to get options for replacement. Water heaters are not created equal, and new technologies are changing the water heater world. We prefer to educate our clients on the options that are best for them, not just the most expensive. We use our knowledge and experience to help decide what the best options are, and offer those options to you our client. Our goal is to ensure the unit that is purchased and installed lives up to, and hopefully exceeds, your expectations! For comparison information between an electric or gas hot water heater, click here. We provide commercial and residential plumbing services for Pasco, Kennewick, Richland, West Richland, West Pasco and Tri-Cities Washington. We dedicate ourselves to and take pride in providing the highest quality plumbing services available. 100% Satisfaction Guarantee! We do the job right the first time. Please mention this website when you call!